Nurses are available for blood pressure checks on the weekend of the second Sunday of the month following ALL WEEKEND MASSES. 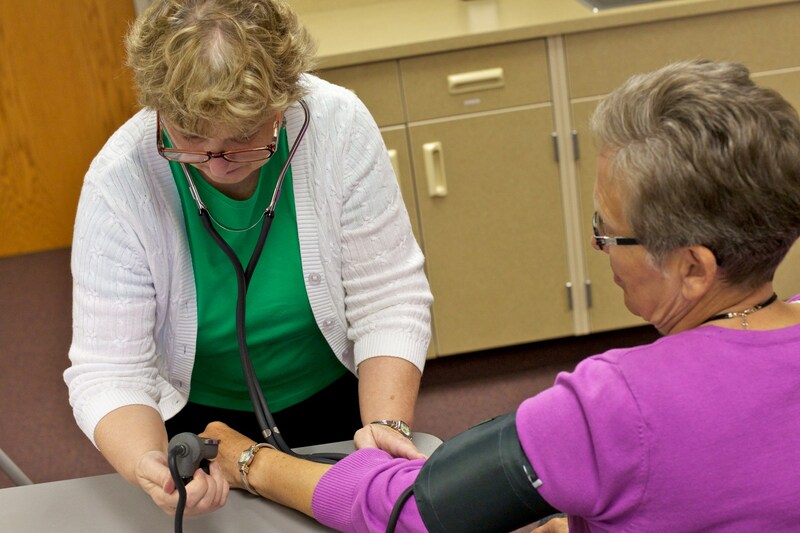 Blood pressure checks are typically in the Teachers' Lounge. No appointments necessary. Blood pressure is a measure of the force of your blood against the walls of your arteries. With high blood pressure, that force is too strong and usually means the arteries have been narrowed by a build-up of plaque. A blood-pressure reading consists of two numbers. The systolic, or top number, measures the pressure when your heart has just finished pumping blood into your arteries. The diastolic, or bottom number, is the pressure between beats when the heart is relaxed. Regular blood-pressure checks can save your life. Check the bulletin for upcoming weekends.